Haven’t you said that to yourself more than once in your life? Sure, who hasn’t? Who doesn’t think about the endless routine of three meals a day, on the job, and back to bed? And for what? A grave? It doesn’t make sense. Yet as you watch people plodding aimlessly through years of that monotonous routine, heading straight for that grave, you hear very few asking about the meaning of life on earth. It’s almost as if no one wants to talk about it. And yet, you know the haunting questions are there, “Who am I? Why am I here?” Those are perhaps the most important things anyone can face, yet people seem afraid to ask them. Is it because they fear there is no answer? Or is it because they don’t want to look into the Bible? That is the only place where such questions are answered. Only in God’s Word is the mystery of life explained. Once we turn to the precious Book, we find more than answers to those questions. We also find that life on earth is a tremendous adventure. It may not look like it to the person blindly trudging the squirrel cage of three meals a day; but to the one who sees life from God’s vantage point, it is another story altogether. When we understand the amazing program God is carrying out in people on the earth, and behold our part in it, life is transformed from a boring routine to a fantastic adventure. The fact of God is questioned by very few. Somehow, there is a “built-in” witness to every heart that God is. Every child growing up in this country has some ideas concerning Him—ideas that include the fact that He is eternal and almighty. What child has not asked, “Where did God come from?”, only to be told, “He always was.” The slightest reasoning admits that this must be so for if God Himself were made, then the one who made Him would have to be God. No, only God can be God and He must be eternal. Man has been aware of this truth for all of recorded time and the testimony of God can be found among all peoples. The first chapter of Genesis, the first book of the Bible, reveals man’s beginning. What astonishing things are said: “Let Us make man in Our image according to Our likeness" (vs. 26). Man is at once revealed as resembling the Almighty God, Himself. What a testimony to the dignity of man, and what great expectations God must have had when those words were first uttered. At a point in eternity, we don’t know where, God made man and put him upon the earth. The account reveals that the earth was made first, and then man placed upon it. Probably the first question to enter minds here is, “Why did God make man?” Granted that man is made in the image of God, why is he made at all? Why does God bother with a physical creation, and then put man on it? The obvious answer is: for Himself. Many passages clue us as to why God did all this. John, writing under the inspiration of the Holy Spirit, stresses the fact that God’s reason for man and the earth is fellowship. God made man that He might have fellowship with him. Of course, this is why man is made in the image of God. The God and man fellowship would have to be one where each is capable of enjoying the other. The Revelation, the last book of the Bible, ends on this note of fellowship. It tells us when time has ceased to be, God will be in the midst of His people enjoying them as a Father with His children (Rev. 21:3-7). It is this future fellowship that supplies the key to understanding God’s dealing with men. If the fellowship is to be genuine and have meaning, it follows that man must be capable of entering into such a relationship. Man must be able to take part, share, or make some contribution for this is the very meaning of the term “fellowship.” That’s what a fellowship is—a mutual sharing, acting, and reacting with others. For such a thing to take place, man must be possessed of a free will. The whole story of man is set against this backdrop of God’s eternal purpose. All that is found within history, or the pages of the Bible, must be consistent with His eternal goal of the glorious fellowship. When Genesis declares man to be made in the image of God, the least that it can mean is that man is representative of God. Many have sought to give the phrase various meanings, but reduced to the barest minimum, it holds that man is like God. The declaration is simple: Man is the image of God. There are some things, which if they are true concerning God, must also be true of man. Surely, there is one point where man must resemble God. That is in his ability to choose and determine his own destiny. If man is not free at this point, how can he be said to be the image of God? This is so obviously true concerning the object, it cannot be missing in the image. If this is lacking, man is not a reflection, or image, of God at all. When the Commandments demand that the creature love the Creator in such terms as, “You shall love the Lord your God with all your heart” (Deut. 6:5), it is immediately manifest that here is something which cannot be done unless the creature is free to do so. If man is not free to obey or disobey God, the giving of any laws would be pointless. Another feature in which man must resemble God is in His Spiritual being. If God is a spirit being, an unquestioned claim, then the image must be also. To this, any psychologist would agree. Modern Psychology is the study of unseen man. Man is really a spiritual being. It’s true that he has a body, but he, himself, is not a body. One look at any body, before it is lowered into a grave, is sufficient proof of this. The body frame is still intact, yet the person is obviously gone. Man is not a body. He has a body. It merely serves to reveal the person that lives inside. Even the brain can be found undisturbed within a corpse. So it is but a tool of the spirit-man who once dwelt within the temporal house. This is why psychologists distinguish between the mind and the brain. They are not the same. One belongs to the spirit-man and the other to his body. One is the tool of the other. Man, himself, is spirit. And like God, whom he resembles, is invisible. What is seen of him, however, is the personality that is manifested through the physical organism of the body. Thus, we find that not only the earth but man’s body as well is a part of the physical creation that was instated to receive man for the temporary human experiment. That for which God longs is man’s freely offered love. God, since He is a God of love, desires love, and someone to love. This is His motive for making man in the first place. Man alone is made in His image. Man alone, of all beings, is capable of returning His love. Not only does the first commandment, but also the cross reveal the desperate hunger that God has for the love of man. His great passion can be satisfied only by man’s freely offered love. The fact of man’s freedom to obey or not obey is one that raises problems for God. Man, since he is free to decide for himself, may or may not elect to love God. He may prefer to love another object, or even himself, rather than God. Inasmuch as the eternal fellowship can only include those who love God, it must first be determined who or what man will love. Only those who voluntarily decide to unite with God in fellowship will be included in that eternal circle. Therefore, God devised an ingenious test—at test calculated to determine just where each man, employing his own free will, would elect to place his love and devotion. 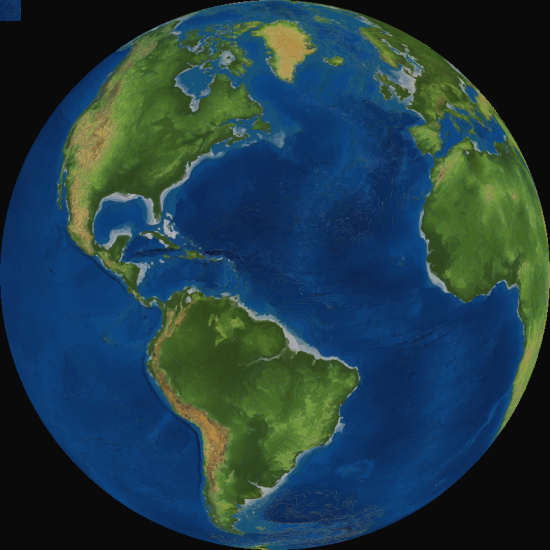 This test is the whole program “EARTH”—the entire story of man in the world for all of time. A test has a beginning and an ending. This at once distinguishes it from eternity which has neither beginning nor end. The “test” is a temporary device. It does not last forever. It is this feature that introduces us to the subject of time. Time properly includes the whole story of man and the earth, together. Biblically it is represented by the period from Genesis through the events predicted in the Revelation, and all that which is included in the term “history.” The whole of it is recorded in the wonderful Book which God has given us, our Bible. Here is the story of man on the earth and God’s dealing with him in order to. . . This excerpt is taken from the book, Dynamic Truths for the Spirit-Filled Life by C. S. Lovett. Copyright ©1973. Currently out of print. 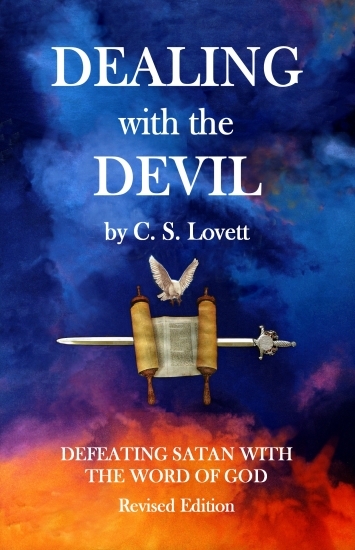 Dr. Lovett’s best-selling book DEALING WITH THE DEVIL has been updated and revised for today's readers. It is our desire that every Christian home has a copy of this vital and informative book regarding Satan and his evil doings. It is available through Amazon.com and sells for $14.99. If you are interested, click HERE to see more information and/or order the book. Dr. Lovett's most recent book THE PREPARED LIFE is also available by ordering from Amazon HERE. These books may also be available by ordering through your Christian bookstore. Answer: The word of God is now complete, and we have the Holy Spirit living inside us. He has come to “teach us all things and remind us of all that Jesus taught us” (John 14:26). Check it out with the Word of God, and the Holy Spirit will give you the witness you need. Nowhere in the New Testament are we instructed to “put out a fleece.” Satan likes for Christians to put out fleeces. In fact, there is a real danger Satan would use it to give you an answer that would move you away from God’s will.